Fast fun little quilt. 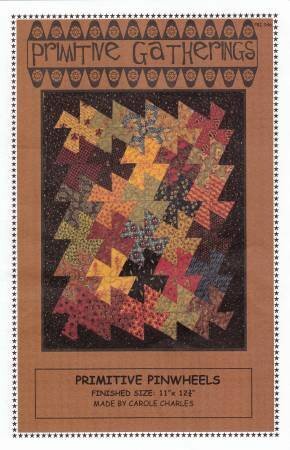 uses approximately 30 pre-cut 3-1/2in charm squares or you can cut your own from all the scraps you have stashed. Primitive Pinwheel tool is included. Size: 11in x 12-1/2in.